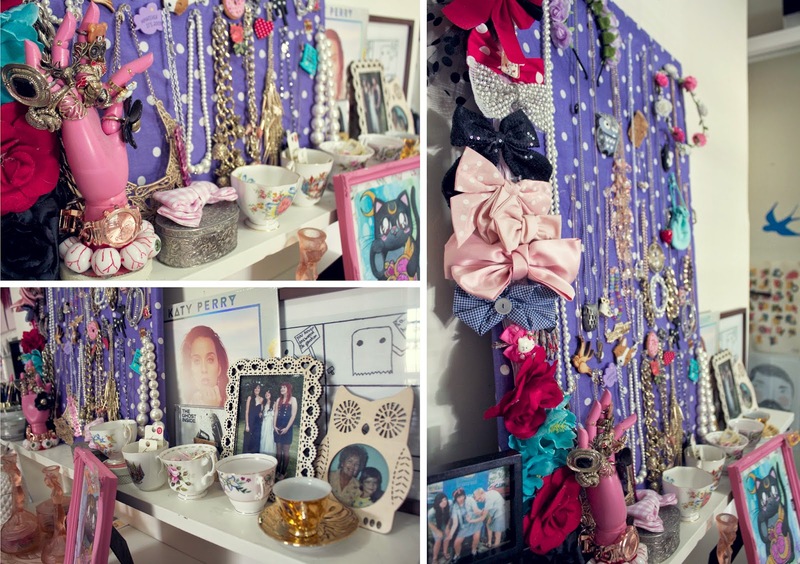 my friend munster: Mini Room Tour! 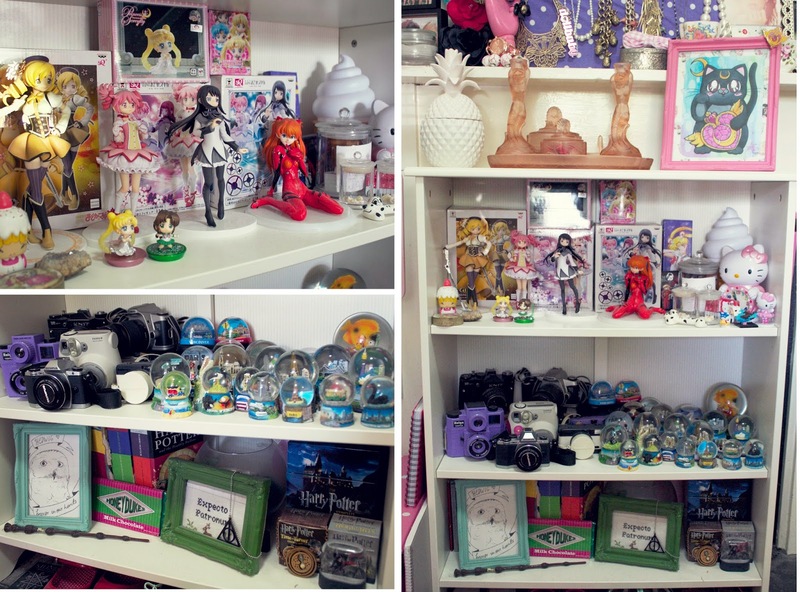 I've been spending a lot of time over the last few months cleaning out and reorganising my room into a tidier, more mature looking space, and I thought I would share some photos of my favourite corners around the place! It's not entirely finished yet, I still have to do the big things like sand back the floorboards and paint the walls, but I'm pretty happy with the progress so far. It feels much cleaner and spacious now that I've gotten rid of piles and piles of things I didn't want or need. Let's have a look, shall we? You've probably already seen this lurking in the corner of my more recent outfit photos, but this amazing coffin case from Deadringer Homewares now serves as my bedside table! I love how it has just enough space to store all of my favourite books and my perfume collection, because I was really pressed for space for them before. This bookshelf I bought from Ikea a few years ago now was such a good investment, I don't know how I managed without it. 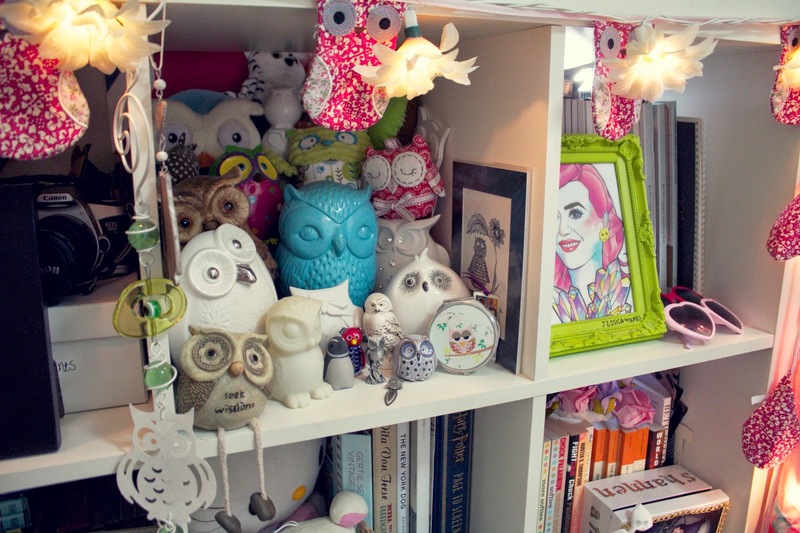 It's the perfect home for my numerous collections, including my ever-growing snowglobe hoard. Soon I'm going to have to relocate all of my cameras because the globes are going to need a shelf of their own! My desk used to be the worst kind of dumping ground, but I've really been trying to keep it neat and tidy and to only use it when I'm either using my computer, drawing, or doing my makeup! It's still a little cluttered, but I don't mind it that way. If you look closely you can see some baby photos of Sam, wasn't he cute? And finally, my makeup space! 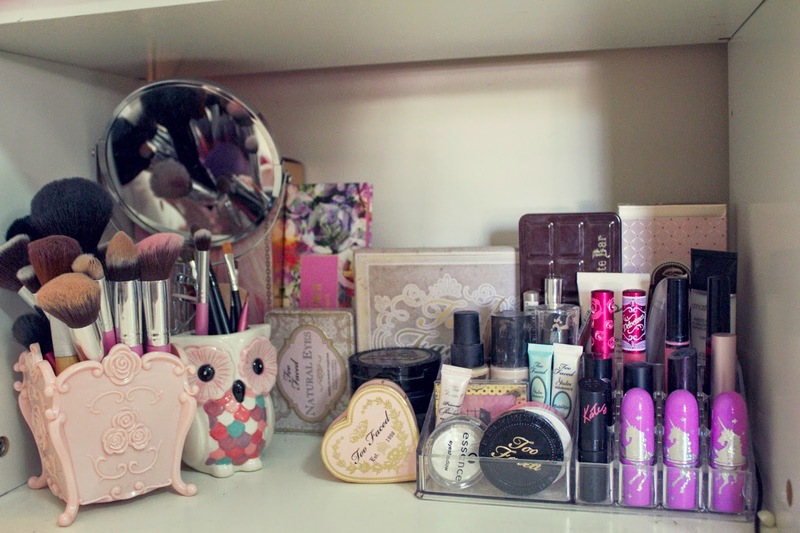 I've always wanted a dressing table/vanity to do my makeup, but the size of my room just isn't going to allow that so my desk doubles as both a workspace and a makeup station. I'm so happy with the way I can see all of my makeup now, and how easy it is for me to get to things when I need them rather than rifling through drawers. Ten points if you can guess my favourite makeup brand! Hopefully it'll be totally finished in the next six months or so and I'll be able to post a video or something, but I hope you've enjoyed a little peek into my space! 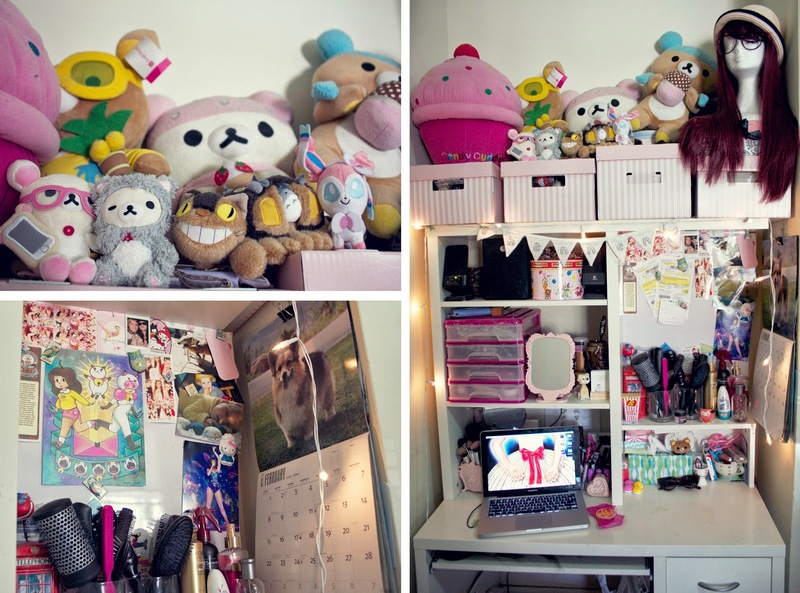 Wow I love how full your room looks. 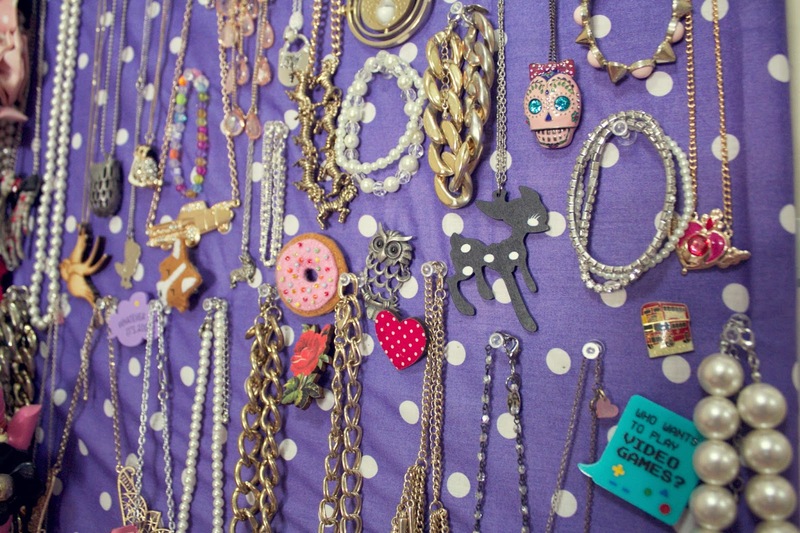 So many things to look at, and all so nicely organized! Thank you! It's a bit of a nightmare to dust, but I love it all so much - I could never get rid of any of it! 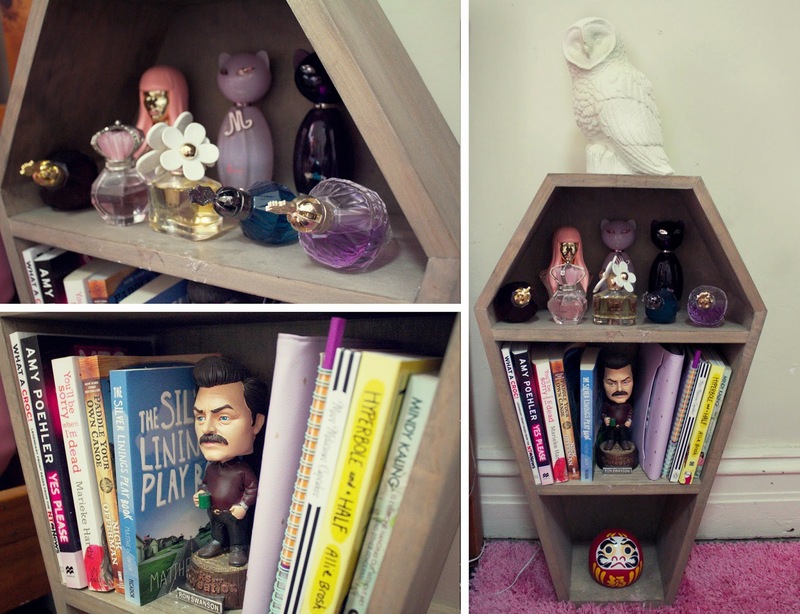 I think the Swanson bobble head is one of my very favourite possessions! Sam gave it to me for Christmas a couple of years ago and It's probably the best thing anyone's ever given me haha. I wish there was one for every Parks character! I think these photos make my room look much more cluttered than it actually is, I've cleaned out so much stuff recently - it used to be twice this full haha! Wow! You have a vast collection of cool things. Those are real great model kits in store and at your proud disposal. I just hope that you've done the cleaning thoroughly, enough that dirt and grime won't further eat into them. Thanks for giving a tour of your beautiful room! All the best!